Add that to the fact that I had around three schoolmates in high school who have twins. I was jealous! I’ve heard of some people who tried various means to have multiple offspring. Then again, I did my research too late because my OB-Gyne already saw one tiny developing baby in my womb back then. Still, it didn’t stop me from learning how to conceive twins or at the very least, how to increase chances of twins. You have to understand though that there are several factors at play here too (which I will explain next). But before you delve deeper in this article, you need to ask yourself first if you are ready to handle twice of everything – from baby stuff to feeding to potty training. If you answered YES, then let’s proceed. F﻿﻿or identical twin﻿﻿s, this happens when your fertilised egg splits into two and creates monozygotic embryos. These are genetically identical. On the other hand, fraternal twins develop when two different sperm fertilise two separate eggs at the same time. Genetics or Family History: If there are any twins in your family, even distant relatives, it will multiply your chances of getting a set of babies too. History of Twins: There’s a reason why couples who had twin babies before will very much likely have another one for the next pregnancy. I once saw a family of six – twin boys and twin girls. The chances double once you’ve conceived twins during previous pregnancies. Maternal Age: Statistically, women aged 35 years and older have higher chances of twin conception because their bodies tend to produce more follicle-stimulating hormones than younger mothers. Race and Body Type: This is more prevalent in African American women and whites as compared to those from Southeast Asia and Hispanics. Also, big-boned and tall ladies have higher chances of getting pregnant with twins than the ones with smaller frames. Number of Pregnancies: The more children you have, the higher the chances of conceiving multiples. Folic acid supplement: There was a recent study conducted that regular intake of folic acid pills might lead to a higher possibility of multiple ovulation. However, the downside is the likelihood of premature birth, the risk for cerebral palsy and low birth rate. There are two sides of the coin, and the danger could easily outweigh the benefit. You probably remember your doctor prescribing this to you as a way of reducing the chance of neural tube defects most particularly, spina bifida. Dairy products: Dr Gary Steinman is an attending physician at Long Island Jewish Medical Center who is well-known for his research on multiple pregnancies. In one study, he compared vegan women who did not take any animal product and vegetarians who consumed dairy. He found out that the latter have increased their chances of conceiving twins by five times. The explanation may lie in the insulin-like growth factor which is higher among women who ate dairy products thus increasing the rates of multiple ovulation. Yam / Sweet Potatoes / Cassava: It was in West Africa where the Lagos’ University Teaching Hospital conducted research, they found out that a chemical from the peelings of a tuber root can increase the possibility of multiple pregnancies. They associated that particular substance with releasing more than one egg which in turn led to the development of multiple pregnancies. However, keep in mind that this is just a theory. There’s still no scientific basis or explanation. If you’re going to start incorporating the foods above into your diet, you need to consult with your physician first. If you’re not pregnant yet, I’m pretty sure there are little to no restrictions to your meals, but just in case you want to try your hand at these theories, you need to ask a medical professional just to be on the safe side. Remember, too much of something is just as bad. Because these are all probabilities except for the predisposing factors which you have no control over, another option is through IVF treatment. It isn’t new, but it isn’t common too because this method is expensive, and your insurance might not even cover the expenses. Like in most things, there are high risks linked both to the mother and the babies. For the little ones, the things to watch out for include preterm birth, low birth weight (which can lead to cerebral palsy, vision and hearing loss, mental retardation and other health problems), and Twin-Twin Transfusion Syndrome. For the mother, she might suffer from gestational diabetes and pre-eclampsia. Continue nursing your baby. Aside from giving your toddler the benefits of extended breastfeeding (improved health, increased immunity and balanced nutrition), you are producing hormones which increase the possibility of conceiving twins. The culprit is in the high levels of prolactin in breastfeeding women which are responsible for creating the breast milk. I hope you learned something new here. 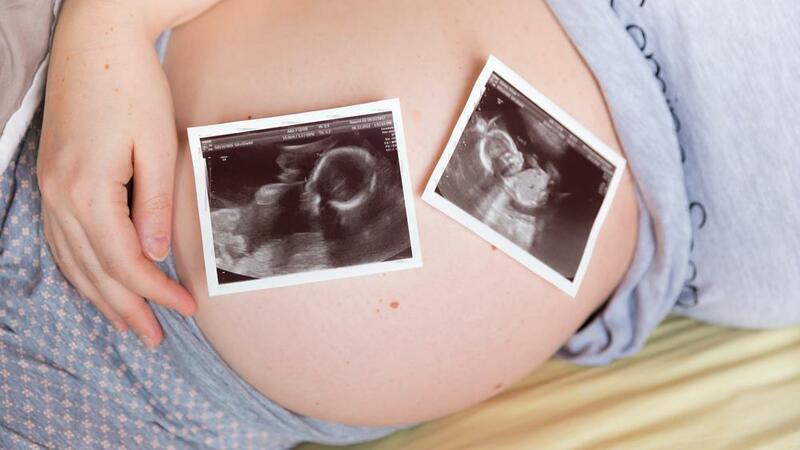 You see, conceiving twins isn’t easy and even more so, taking care of them especially for first-time parents. You can conceive using natural methods which are determined mostly by factors you cannot choose or control. However, if you prefer going another route (supplements, foods and IVF treatment), you need to do extensive research first and also ask your doctor about it. You need to have a clear understanding of the pros and cons. I understand the allure of having twins but remember, as long as the baby is healthy, it’s okay if you won’t have a multiple pregnancies. Did you enjoy this post? Don’t forget to share it with your friends!